You’ve been thinking about becoming Certified Reiki Practitioner? This is the event you’ve been waiting for you. Your instructor, Zaki DeLuca, is a Reiki Grand-Master with over 28 years experience. She holds 9 Reiki Master-Teacher degrees in five different kinds of Reiki. She has taught Reiki to hundreds of people around the world, empowering many to heal themselves & others.This is a rare opportunity to learn Reiki from one of the best! Level I is a full day of total Reiki immersion. Here, you will learn the history of Reiki, what this energy is and how to work with it, the different types of hand placements, and most importantly, how to give healing to yourself and others. Reiki Level I class provides the first degree attunement where the transference of Reiki energy occurs, passed from teacher to student. The attunement is to synchronize and align the crown, third eye, throat & heart charkas. The attunement heightens one’s awareness and allows mindful use of the energy. Once one receives all 3 attunements and practice simple intent starts the energy flowing, initially through ourselves and then to whomever is touched. Reiki reduces stress and promotes happiness and well-being within you. Reiki assist others to deeply relax and heal themselves. In accordance with the true, traditional way of Usui Reiki initiation, you will receive three attunements. Most initiations today only do one. These attunements, given by Zaki herself to each person individually, will open your channels so you may fully receive this energy. 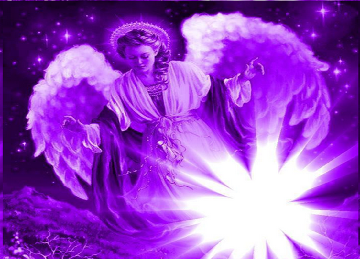 These attunements are unique in that they also incorporate the use of Light, Color, Sound, Aromatherapy,color aroma, aura soma, and Laser Crystals,Vogel crystal. to thoroughly clean the aura before we start the initiation process. After the attunements, you will spend some time inside a specially constructed pyramid that will allow you to properly absorb and integrate the energies before moving on to the actual instructions. A cancer diagnosis will inevitably result in changes in life. Whether it is mesothelioma, colon cancer or any other form of cancer, the treatments will inescapably result in a wide range of physical, mental and emotional reactions. While the treatments and cancer can result in pain, stress, fear and other physical complaints, alternative medicine is sometimes used to help with ailments. Understanding how Reiki can benefit cancer patients will make it easier to incorporate as part of a treatment regimen. The American Cancer Society suggests that Reiki has been able to help in some cases of nausea and vomiting, but points out that the research into the full impact of Reiki is still in need of further research to provide definitive results on the real benefits of the treatment. so don’t be surprised by an increase of movement during the session! Reiki energy helps moms to reduce stress and relax the body. Experience a better night of sleep, ease anxiety, and fatigue and reduce aches and pains. Reiki can assist you in having a successful and fulfilling delivery. It’s a powerful tool during child labor that removes energy blocks, thus allowing the flow of birth energy to move more freely. Reik of course, can greatly benefit fathers too! The greatest benefit a Reiki while pregnant is to bring the baby and the mother into harmony with the intention of the fullest expression of love during the greatestlife event! For students who have at least Level 1 Reiki and are interested in receiving an extremely in depth and practical foundation in Reiki with animals, this class is for you. will allow you to experience successful animal Reiki treatments, thus giving you the experience you need to practice animal Reiki with all kinds of animals and in any situation with groundless and confidence. 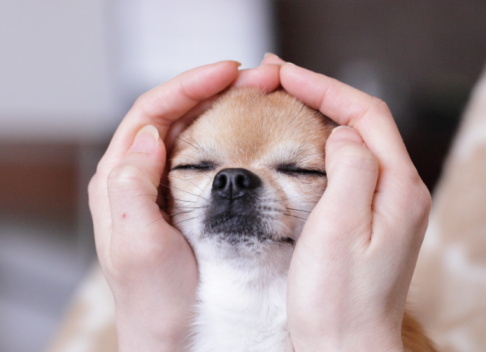 Reiki animal healing does not involve the administration of any drug, just a gentle physical contact with the animal, so it is unlikely to do your pet any harm. Animals love Reiki and it will work for them. When treating animals with Reiki, it is good to remember that all life-forms utilize “Universal” energy, and that all run optimally when filled with it. 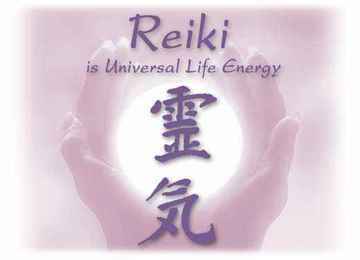 Reiki pronounced as Ray-Key, is a Japanese word given to an ancient healing system which was re-discovered by Dr. Mikao Usui, a theologists and a teacher in the 19 Century. Ki means life force energy and has various names like Chi in China, Prana in Sanskrit. This is present in all of existence and can be tapped to benefit all. This vibrational technique balances, harmonizes and restores our energy system by channeling energy through the energy center in the palms of our hands. 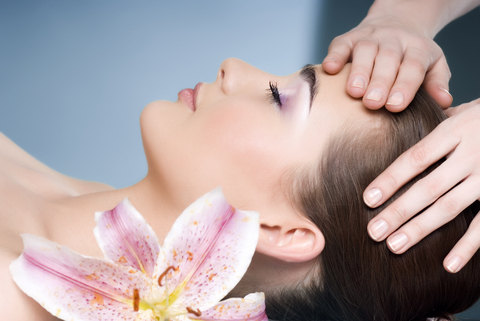 It is a holistic therapy which addresses the body, mind and spirit. It is safe, simple and non-intrusive. It could be used anytime, anywhere and in any situation. Reiki works on animals, Plants and even non-living things. It works beyond thoughts, feelings, faith, believes and region. 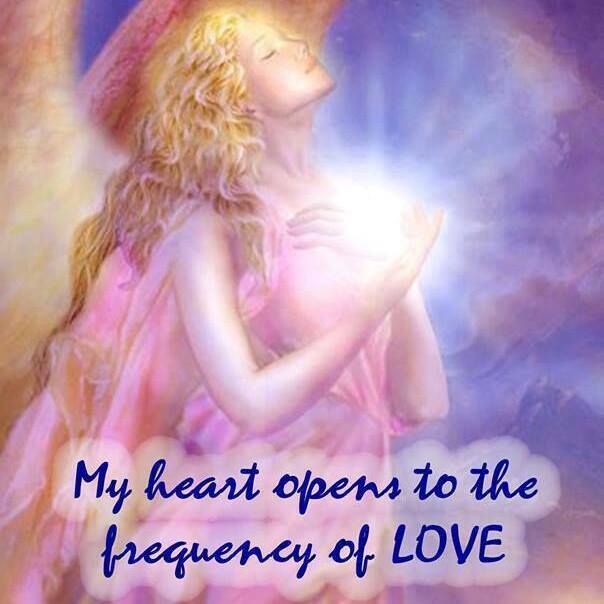 Disease or ill health is caused when there are blockages to the free flow of this energy. The key to health and well- being is when there is a free flow of ki – Universal life force energy in each part of animate or in-animate matter. Reiki teaches us to connect and channelize this life force energy from the universe to all parts of our own human energy field called Aura. In a Reiki class we learn to feel and sense this human energy field – Aura and to channelize ki -life force energy in the right way so that we can balance the Aura, that is, make the Aura at ease. (As opposed to Dis-ease). Everyone can learn to channel this energy. 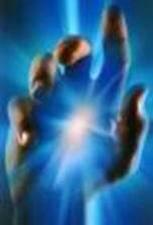 Reiki dissolves and removes the blockages within the Aura, resulting in free-flow of energy. Reiki, thus helps us to heal physically, mentally, emotionally and spiritually and empowers us to express and realize our true potential in this lifetime. Accelerate Healing of Acute & Chronic illnesses when we become attuned to Reiki, we often want to treat every hurt or sickness, and in our exuberance to be helpful, we may force a hands-on treatment on our animals—making the animal mad enough to strike out at us. It is good to remember to approach any injured or sick animal with caution and love. Move towards an animal slowly, and pet the animal lightly; pay attention to any area which appears to be sensitive to touch. When we become attuned to Reiki, we often want to treat every hurt or sickness, and in our exuberance to be helpful, we may force a hands-on treatment on our animals—making the animal mad enough to strike out at us. It is good to remember to approach any injured or sick animal with caution and love. Move towards an animal slowly, and pet the animal lightly; pay attention to any area which appears to be sensitive to touch.mals can easily get hurt when we are away; jumping, playing, chasing toys or feeling energetic and trying to dissipate it by running around the house. If an injury is allowed to swell, excessive fluids can gather in and around the injury, increasing pressure and decreasing the flow of energy to the area of injury. This can result in permanent damage to tissues and lengthen treatment time. Accelerate Healing of Acute & Chronic IllnesWhen we become attuned to Reiki, we often want to treat every hurt or sickness, and in our exuberance to be helpful, we may force a hands-on treatment on our animals—making the animal mad enough to strike out at us. It is good to remember to approach any injured or sick animal with caution and love. Move towards an animal slowly, and pet the animal lightly; pay attention to any area which appears to be sensitive to touch. When taking Reiki Initiation, here are a few important questions you may want to ask. Reiki is a system of natural healing developed by Dr. Mikao Usui from Japan in 1922. It works with the Universal Life Force that keeps us alive and well. When it is blocked, we become ill. Leaning Reiki can give you the personal power to heal yourself and others. It can be used to heal the physical body, provide peace for your mind, improve relationships, clear negative energies, and manifest that which you desire. Reiki can change your life! Many hospitals and clinics have studied the effects of Reiki extensively and have documented evidence that it works. Even Dr. Oz and the American Cancer Society recommend Reiki. It is safe, effective, and puts the power to heal yourself back into your own hands. Many, even in mainstream medicine, believe that the future of healing is in working with energy. And Reiki is the form of energy healing that has been the most studied and verified. There is no substitute for consistent, long-term experience when choosing a professional in any field. Always ask the Reiki Master how many years they have been practicing Reiki and how often they use it. Ask them how many healing sessions they have given, and how many Initiations they have given. Also, in accordance with the true Usui Reiki teachings, a Master-Teacher must give a minimum of 25 Initiations for Level I before proceeding to give any Level II Initiations. In addition, ask them if it is something they do part-time in addition to their regular work? Ask when they became certified. Zaki is the most sought after Reiki practitioner at the largest meditation resort in the world, in Pune India, where she goes every year for 4 months. She also teaches Reiki in Europe for several months each year and maintains a large international clientele. Because of her excellent reputation, she is being requested now by centers all over the world; in Australia, Greece, the UK, Brazil, Russia, Israel & South Africa. Zaki traveled the world seeking out the best Reiki Masters to learn from; in India, Nepal, Tibet, & Singapore. And she is constantly learning more about Reiki all the time. Zaki has done extensive inner work at the Osho Multiversity in Pune, India, totaling over 14,500 hours. She attended the Multiversity every year for at least 4 months a year for the past 25 years and also lived there for 3 ½ years. Work such as: releasing stuck emotions, discovering and changing beliefs, understanding personality & self, taking personal inventory, meditation, etc. Zaki is also a Black Robe Therapist at the largest meditation resort in the world (Pune, India) where she helps others work through their issues as well. She is the most in-demand Therapist at the resort, her sessions are always booked, weeks in advance. She teach to the nurses and doctors, in hospital, in Italy. I spent two evenings learning Reiki healing with Zaki De Luca. Both evenings i was overcome with unexpected emotional yet quiet outflow of tears. The most guiltless, pure and un-lingering tears that my eyes have ever produced. They overflowed my closed eyes during the Reiki initiation- when i was making my life’s wish to the Universal Energy and to GOD. They were not sobbing tears. They were not sad tears. They were purely the cleansing and soothing liquid that my soul was able to manifest in order to purify itself. Both evenings i was wonderfully blessed with golden colored energy followed which i felt completely peaceful and calm. my mind seemed to have been erased from negative thoughts and emotions. there was no feeling of sadness. I feel a quiet energy, the calmness of the mind, the awareness of my breathing…all in unison and all at peace with the rhythm of my heart beat. It was quite a unique sensation. Then we all danced. the movements of dance were effortless. when we danced we didn’t think. we danced to however our bodies wanted to move. no designated steps or instructions. we just danced. This experience was so beautiful. I think i found my spiritual calling. I don’t resist the Universal Energy. My heart and mind were open. Learning how to meditate and clear my mind and wandering thoughts allow my restless body to slow down. A much needed activity. I’m grateful for this experience and new friendship with Zaki. When I first met Zaki, I had no idea of the impact she was about to have on my life. I was on high dose anti- depressant/anxiety medication and sleeping pills for anxiety. I had lack of motivation and purpose in my life and felt confused, lost, and was taking the already perfect life I had forb granted. I was on the verge of divorce and headed for disaster…affecting my life and those of my kids, friends and family. After 1 session, 1 meditation, a few brief phone conversations, and the completion of reiki 1 certification with zaki, I’m shocked to say that my life has turned around completely. And in only a few short months. I am no longer taking any medication. My depression and insomnia seem to have vanished. My marriage is better than it has been in years that we are even planning to buy a house together. And i have gained insight and confidence to start my own home based business which is working out wonderfully! I am starting to live more in the moment, gain new insight in life, have experienced new avenues of spirituality, and appreciate the life I already have and the people that are a part of it. I’m allowing people to enter my heart more easily am have made life lasting friendships over the past few months with people that were merely acquaintances in my life for years. There is more love in my heart to share with those less fortunate. I am starting to see life from a new perspective. And I owe it all to Zaki. If it wasn’t for some force drawing me to seek her out, my life would be on an entirely different path right now. Zaki, I thank you…my husband, family, friends, and children thank you! Because of what you have done for me not only effect my life and future, but of all those around me as well. You truly are an angel! Jamie W.
“The psoriasis I had on my leg for years is now completely gone. The doctors couldn’t do anything about it, but after several sessions with you, it’s totally healed. You definitely have the gift.” – Rose L.
In accordance with the true, traditional way of Usui Reiki Initiation, you will receive three attunements. Most initiations today do only one. These attunements, given by Zaki to each person individually, will open your channels so you may fully receive this energy. With three attunements, you can achieve much better results. These attunements are unique in that they also incorporate the use of Aromatherapy (Aura Soma) and Sound Therapy (specifically tuned crystal singing bowls) to thoroughly clean the aura before we start the initiation process. One bowl in particular, our hand-held, is of very high quality and purity of sound. It is specifically tuned to open the heart chakra. In addition, Laser Crystals and the Aura Soma Light Pen are used to open specific points. The Aura Soma Light Pen is a sophisticated and expensive tool that requires extensive training in order to use it properly. Its effects are similar to acupuncture but without the needles. The results of this instrument are thoroughly documented and are quite profoAfter the attunements, you will spend some time inside a custom-made pyramid that will allow you to properly absorb, ground, and integrate the energies before moving on to the actual instructions. This pyramid is built with precision and to the exact proportions as the Great Pyramid at Giza and has a custom-made solid quartz capstone. You won’t find anything like it anywhere else. 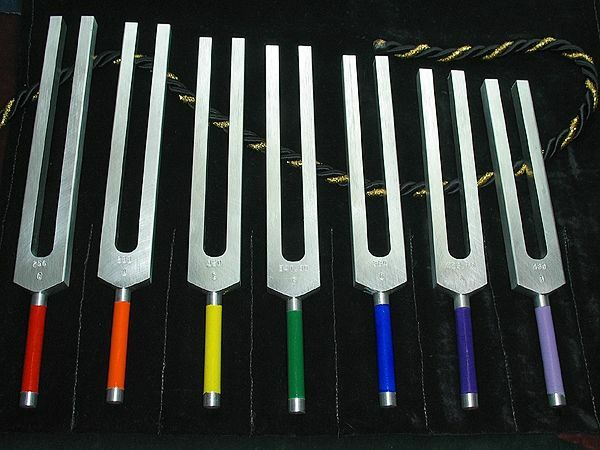 Where to Tonate Your Tuning Fork: Having a knowing of basic human anatomy, even though the fork does not have to be on the specific organ for that organ to receive the healing vibration from the fork. This simple process has changed everything from a tilted pelvis, hearing and eyesight loss, insomnia, mental fogginess, no or reduced back and neck pain, a gain in movement of head and extremities, correction of Bowling Ball Syndrome, and much MORE. Rebooting the Nervous System opens the cerebrospinal pump and resets the nitric oxide pump in the cells which allows the body to generate all kinds of healing and relief. -Greatly improves our memory and concentration. -There is a growing level of intelligence, we can creatively and effectively learn and solve problems. -Increasing the effectiveness of our work. -Effectively mute and relax after a day full of stress. -Purifies the mind and the body of toxic thoughts and emotions. Another indication of authentic Vogel healing crystals is their ability to almost glow from within. When you experience an authentic Vogel, you will know. Not only are Vogel crystals cut precisely, but they have a love energy or aura that simply shines through. There is definitely something quite breathtaking and magical about finding the Vogel crystal you have been searching for; and when you do, it can transform your life. Our body has at its disposal the most advanced infantry for your internal system‘s defense – your immune system. Your immune system is a magnificent network of cells and organs that work in tandem to keep foreign invaders (virus, bacteria, fungi, parasites) at bay, and to neutralize those internal criminals that have gone wrong (cancer). Energetically speaking, the level of strength in your immune system symbolizes your ability to hold boundaries, use your ‘gut feelings,’ and to recognize that which is only for your highest good. If you would like to take this course but cannot join this class, please contact Zaki and let she know your availability. Lunch is provided, Wear all white, comfortable clothing. Please don`t wear any perfume.